Have y’all had Baked Italian Rice Balls otherwise known as Arancini before?! They are simply perfection – a soft, slightly cheesy and risotto-filled centered PLUS a crisp, herby and lightly breaded exterior. 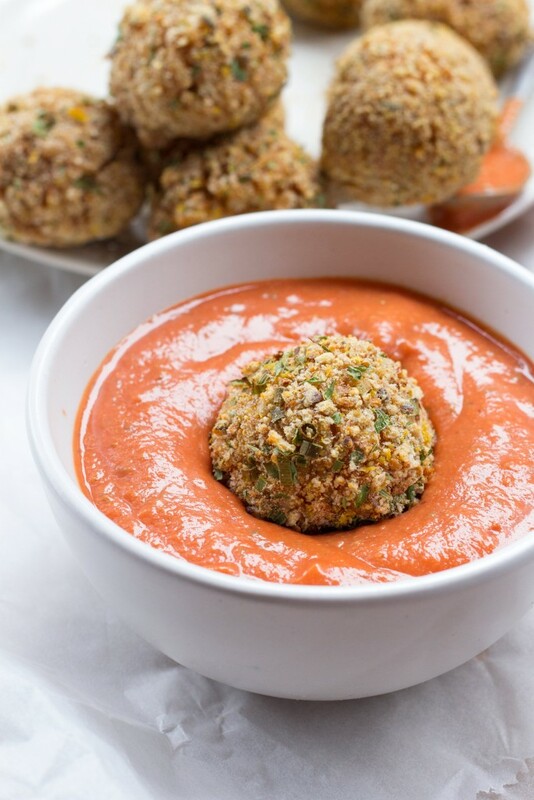 The ones I’ve made here are baked until supaa crispy instead of fried and use a few healthy subs to make these Vegan Italian Rice Balls the perfect light appetizer or side! I grew up in an Italian-Canadian area of the Toronto suburbs. And I was seriously always spoiled with delicious Italian food when I’d visit my friends growing up – homemade fresh pasta, tomato sauce that’s been simmering on the stove all day, wine made and aged at home in the cantina and one of my favorites – these Italian Rice Balls dipped and smothered in a Creamy Marinara Sauce, YUM! Guys, I just got home from Amsterdam last night after a wonderful European tour with my family and we honestly walked, enjoyed and ate our way through the three European countries we visited! We had SUCH an amazing time catching up, laughing, road-tripping, BBQing, picnicking, window shopping, sipping wine and enjoying the beauty of quality family time among the metropolises of Paris, Brussels and Amsterdam. I have to say, my favorite city in Europe has to be Amsterdam. It was my fourth time visiting and every-time I visit, I discover something new. It is such a charming, stunning, live-able, open and vegan friendly city. A highlight of the trip was enjoying a picnic with local foods (hello hummus bagel-wich from Bagels & Beans) on a boat tour of the canals given to us by a local Amsterdam gentlemen named John. It was truly an unforgettable and amazing trip! 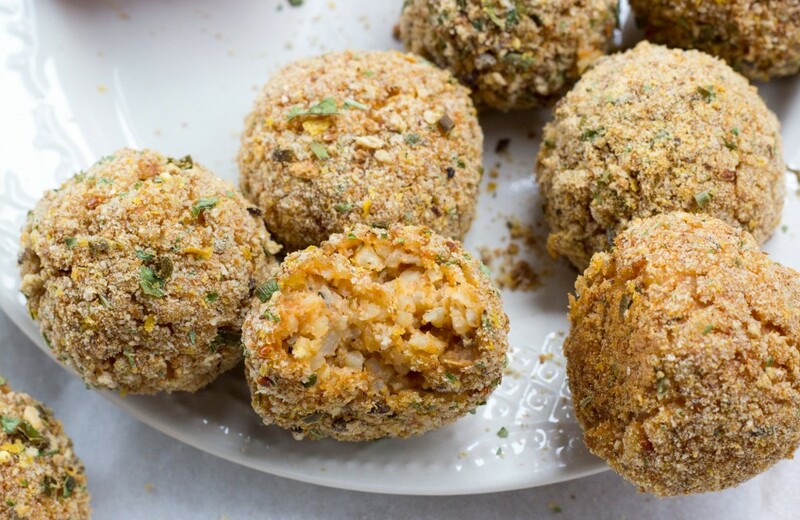 These Baked Italian Rice Balls are baked until crispy instead of fried. A soft, slightly cheesy and risotto-filled centered PLUS a crisp, herby and lightly breaded exterior. 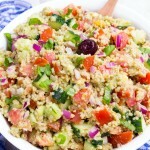 The perfect appetizer or healthy side! Simmer risotto rice in 1 cup of water + 1 cup of vegetable broth with tomato sauce, herbes de provence, sea salt and paprika. While the rice is cooking, prepare the bread crumb mixture. Stir together all of the bread crumb ingredients in a medium size bowl (breadcrumbs through to optional cayenne powder). Set aside 3 tbsp of the bread crumb mixture (you will mix this in with the cooked rice). Once the rice is cooked, add in the nutritional yeast and 3 tbsp of the bread crumb mixture to the warm rice. Stir together, cover and leave to cool in the fridge for 30 minutes. Once rice is cool, pre-heat oven to 400F/200C. Line a baking sheet with parchment paper. With an ice cream scoop (or spoon), scoop rice mixture onto a lined baking sheet. You should have 11 equal sized balls on the baking sheet. Prepare a small bowl of cold water to dampen your hands [i]slightly [/i]before rolling the rice balls. This helps the breadcrumbs to stick to the rice balls and helps the rice to not stick to your hands. Roll the rice mixture into round balls. Dip them generously into the breadcrumbs and place again on the baking sheet. Do this with all the rice balls until they are all evenly round and coated with the breadcrumb mixture. Bake for 25 minutes until crispy and brown. Broil for the final two minutes (but watch them closely not to burn the rice balls) to make them extra crispy. Leave to cool for 10 minutes before eating – they are hot! Toss all the ingredients for the dipping sauce into a blender and blend until creamy (I used an immersion stick blender but any blender should do). 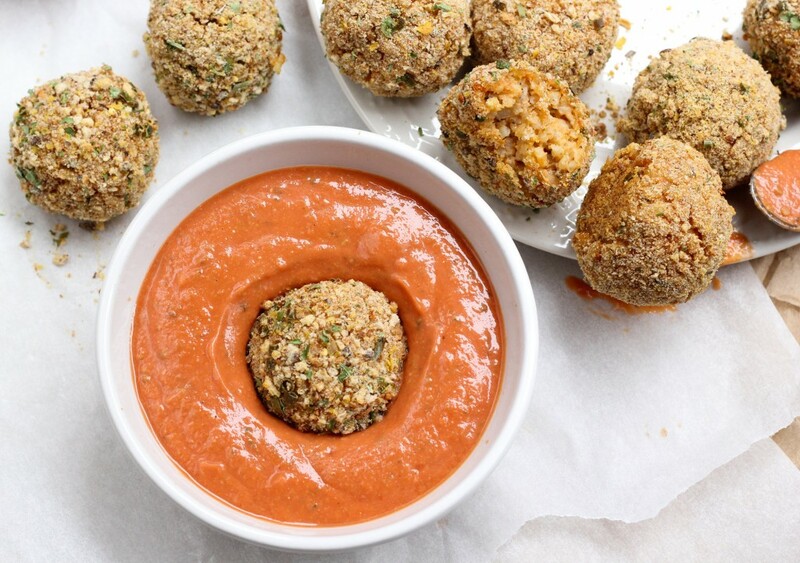 Serve the warm rice balls fresh out of the oven with the cold creamy marinara dipping sauce. 1) Make sure ingredients (breadcrumbs, risotto rice) are certified gluten free if necessary. 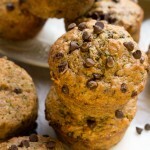 [br]2) Substitute herbes de provence with equal parts dried basil and oregano. [br]3) Substitute coconut sugar with plane white or light brown sugar or sweetener of choice. 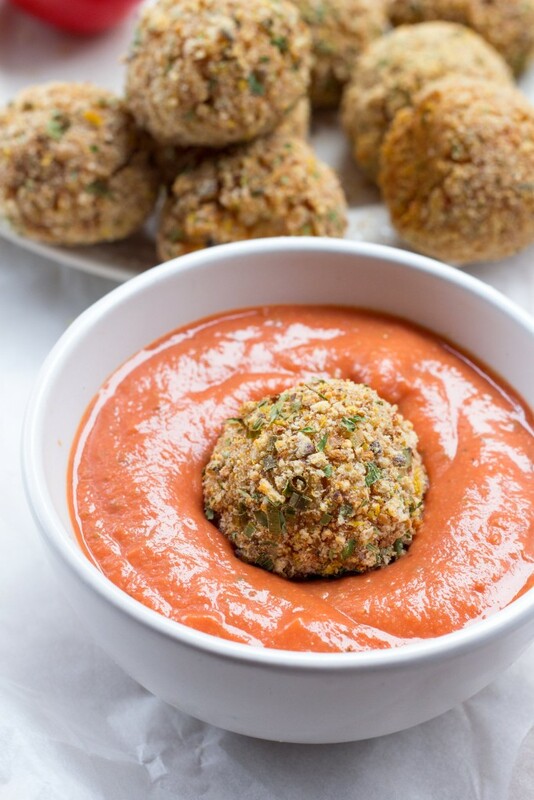 And guys, it seriously makes my week hearing your feedback and seeing your delicious #CearasKitchen creations 🙂 If you do try these Vegan Healthy Baked Italian Rice Balls, leave a comment below and share your photos with me on Instagram @CearasKitchen (and remember to tag #CearasKitchen so I don’t miss it!) or share it on my Ceara’s Kitchen Facebook page. Have a wonderful end of week everyone! SO happy you and your hubby enjoyed it!!! 🙂 Thank you for the positive feedback! Thank you so much, Tracy! 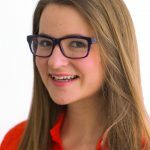 So happy you are enjoying the recipes 🙂 Great to connect with you here! Going to check your blog out now! I keep coming back to these and staring at them, they just look too good to be true. I also just want to dive into that creamy marinara sauce. Yum! Amsterdam was definitely one of my favourite cities I visited while in Europe! I went to Bagels n Beans SO many times and always ended up with the hummus bagel, I could really go for one right now haha! Yum! Made these last night and they were a hit with my very non-vegan boyfriend 🙂 Easy to make, and the balls held together very nicely. I used panic b/c thats what i had in the kitchen, and worked just fine. I made other food to go with this, but the balls ended up being very filling and a meal in its own right. Thanks for the wonderful recipe! A long time ago I made these balls fried Ceara! I love that yours are baked! I can imagine how tasty they would be smothered with the marinara sauce! Pinning! I tried making arancini once before, not vegan, and not baked 😉 I almost set my house on fire with a smoking pot of oil, it was so scary and I’m scared to go near a big pot of oil from now on! I love that yours are baked, they look absolutely delicious! Oh my gosh Ceara! How are you! Long time no see, talk, haha! These look INCREDIBLE. Seriously, I think this has to be the most drool-worthy recipe I’ve seen from you yet! The pics are beautiful and I love, love all of the ingredients. The last time I made rice balls was a couple of years ago…I never perfected the recipe so I just forgot about it, lol. Well these look so simple and amazing. Definitely want to make these!! Thank you my friend!!! 🙂 I am really trying to work on my food photography – it’s such a learning process! And now that I’m done school I can dedicate more time to learning all the tricks of the trade 😉 Can’t wait to hear your results if you end up making these! Ceara-these were one of the yummiest meals I’ve ever made!! They were just perfection. The texture and flavor was amazing! I love, LOVED the crispy breaded coating and just wanted to eat it all with a spoon! I love how the directions actually were exactly what happened in my kitchen…I didn’t have any surprises like so many other recipes I’ve tried from sites before. This one was perfect, delicious and gone in MINUTES, haha! I served it with a big pot of brown rice fettucini and some extra marinara sauce. SO amazing! Will make this often! <3 SO happy you enjoyed them and thank you for your wonderful feedback, Brandi!!! I NEED to try these with some fettucine next time. Sounds like an absolutely perfect meal! Thanks again girl! Thank you so much, Natalie!!! <3 They definitively did hit the same spot for me. I used to LOVE mozzarella sticks too - these rice balls contain similar cheesy and comforting flavors, YUM!